The Radha Thomas Ensemble is truly impressive and unique. UNK is a wonderful album that aims to please and hits the target right in the bull’s eye. On the first track “Call,” Radha has created a melody and vocal style that’s an interesting combination of middle eastern music and soulful jazz. 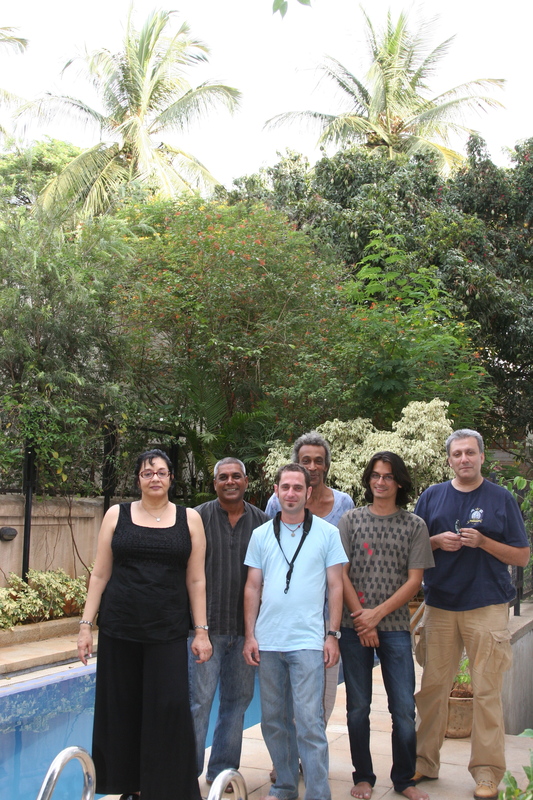 The production approach of capturing a “live” performance as opposed to a lot of effects and overdubs gives you a clear idea of what Radha Thomas (vocals), Aman Mahajan (keyboards), Ramjee Chandran (guitars), Matt Littlewood (saxophones), Mishko M’ba (bass), Suresh Bascara (drums) sound like! It’s a winning game plan to say the least. “Meniña Moça” begins with sax, piano, and bass sharing the opening Latin figure, and the percussion answers the ensemble. Radha’s unique voice is smooth and sultry as she sings about a love that is true. The tenor sax solo was unhurried and melded into the laid back Latin flavor of the groove, with great subtones on his horn, and tasteful phrasing that responded to the lead vocals. The drummer used brushes instead of drumsticks and that really worked on this cut.I enjoyed “Connections,” with great chord changes and an ending cadence that reminds me of Chick Corea’s “Spain”. Very cool. By now, I was expecting fresh ideas in the melody… check. Great sax … soprano this time …check. And the band lays in the pocket with Suresh Bascara driving the rhythm section without overplaying. The piano introduction gives you a better idea of what Aman Mahajan will have in store when you go to see them in concert. Oh, you will certainly want to follow this group. 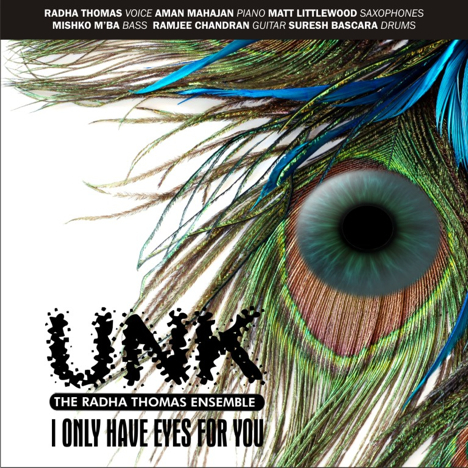 I’m highly recommending the Radha Thomas Ensemble and giving them 5 Stars for having a fresher sound for the jazz fans who are seeking to expand their horizons. Listeners will be impressed with their approach to jazz classics like “Bluesette,” “Almost Like Being In Love,” and “Watermelon Man.” This is a refreshingly innovative jazz album!